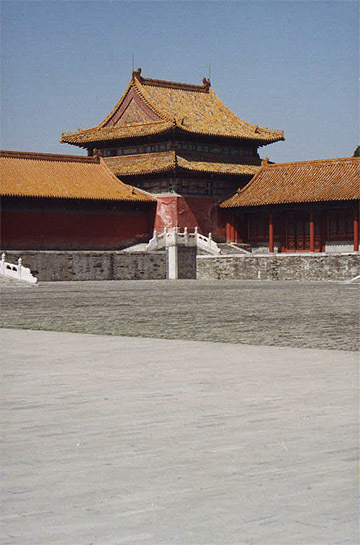 You may wonder why there aren't any trees in the front court yard in the Forbidden City. One reason is that the royal family was afraid assassins might hide in the trees. The other is that the Chinese character for "trouble" is composed of a court yard with a tree in it. Well, who wants trouble in a palace?